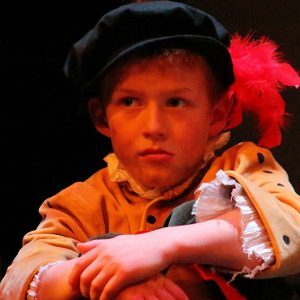 On Thursday 29th November 2018 Vinehall was awash with ruffles, doublets and hose for the Elizabethan Soiree. 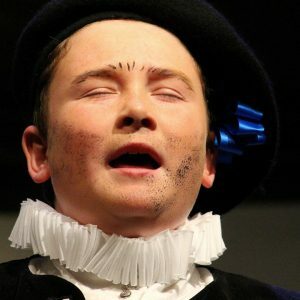 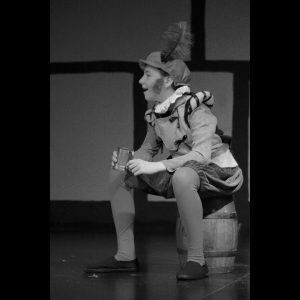 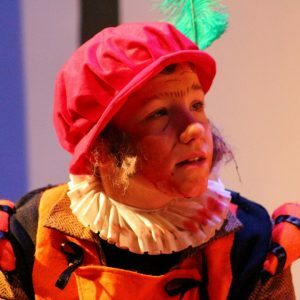 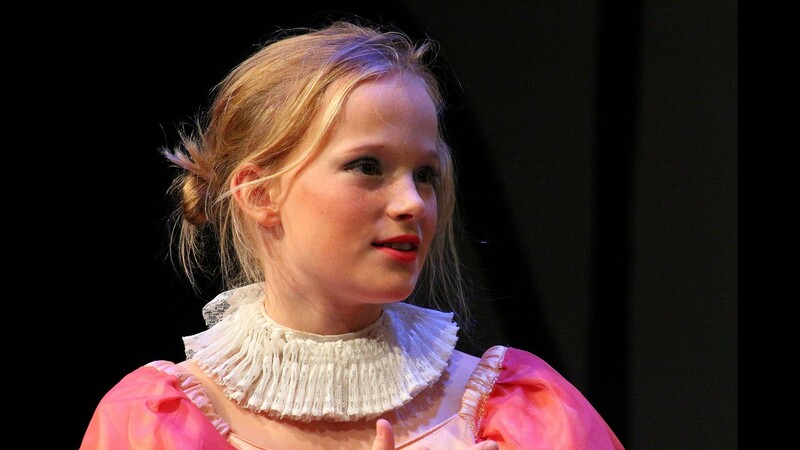 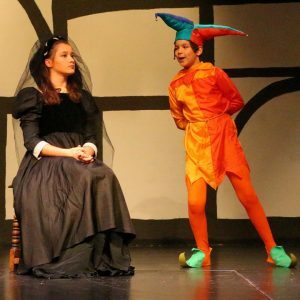 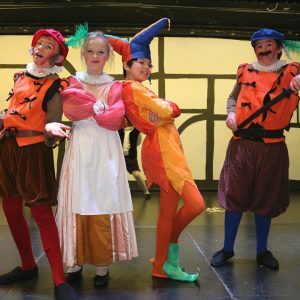 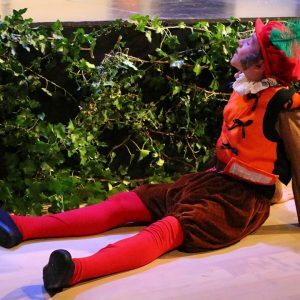 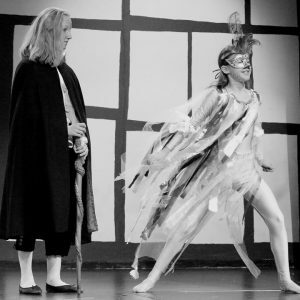 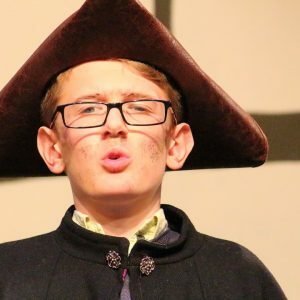 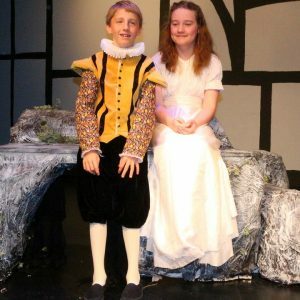 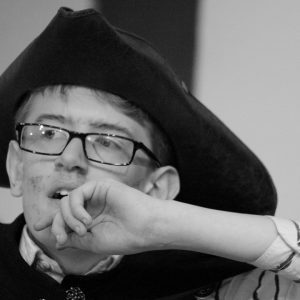 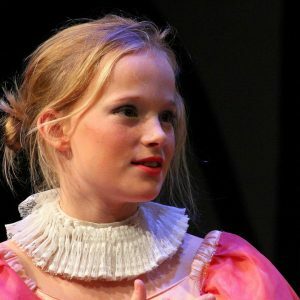 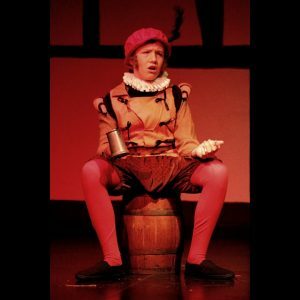 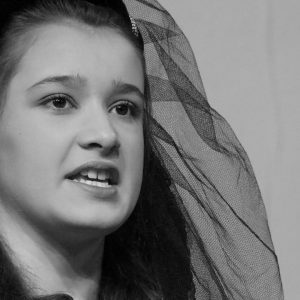 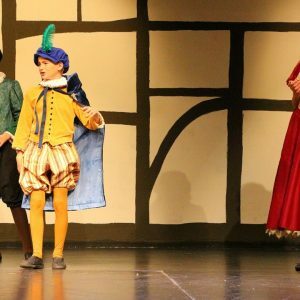 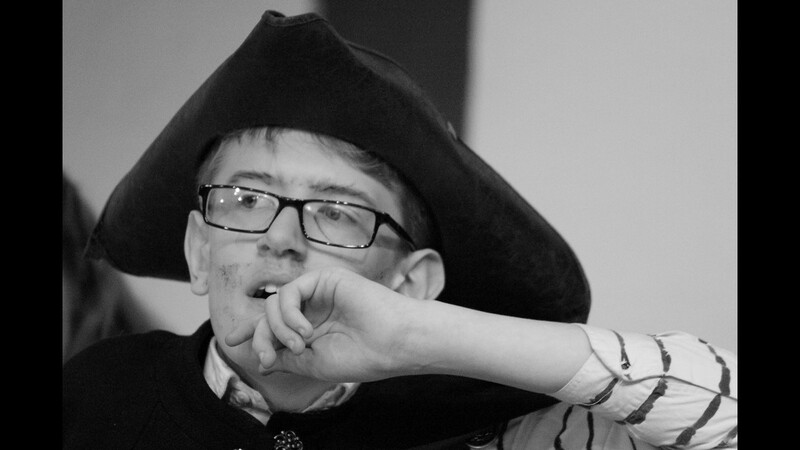 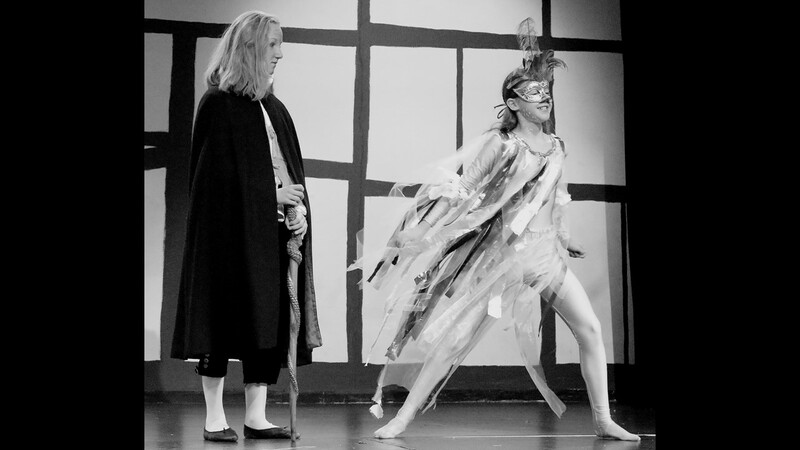 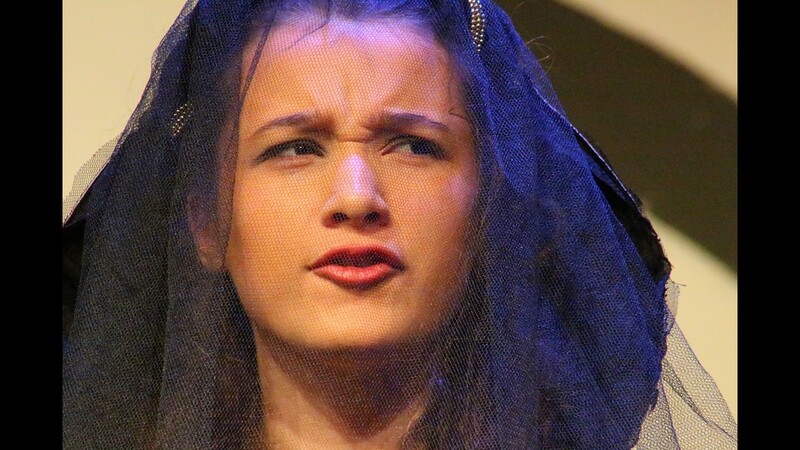 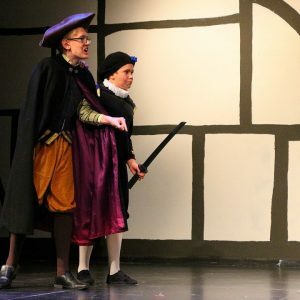 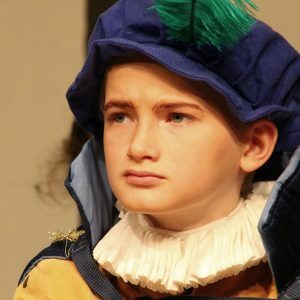 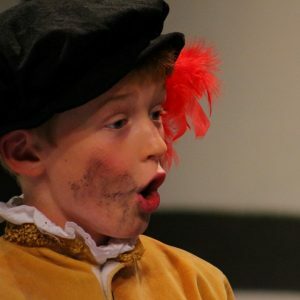 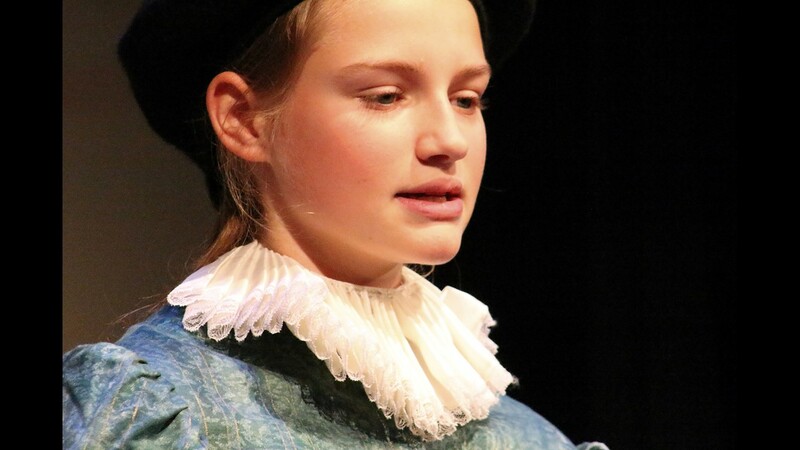 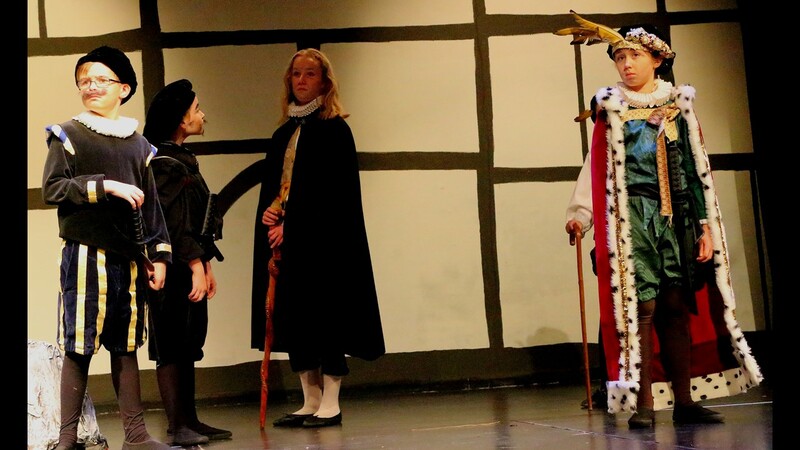 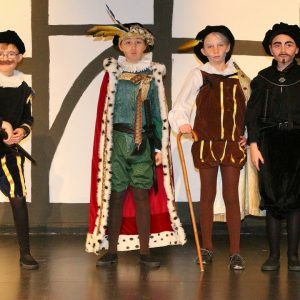 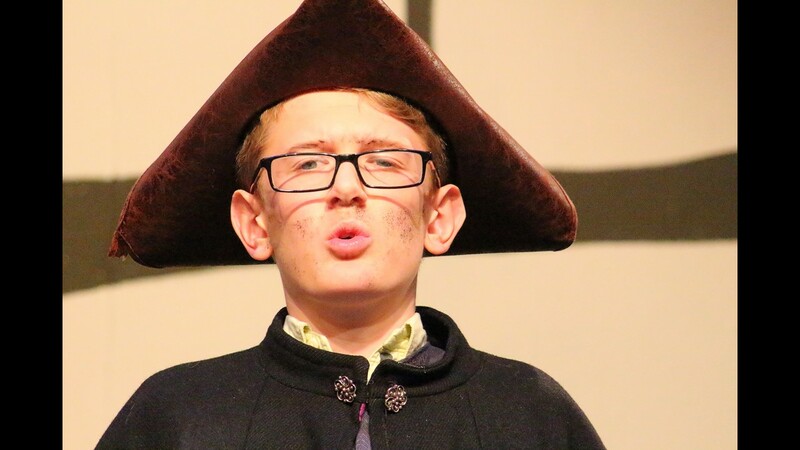 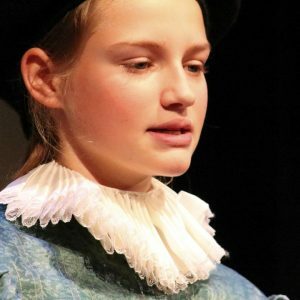 All term pupils had grappled with the vagaries of Shakespeare’s language, the complexity of his stories and interesting characters and they thrilled the audience with their skill and creativity. 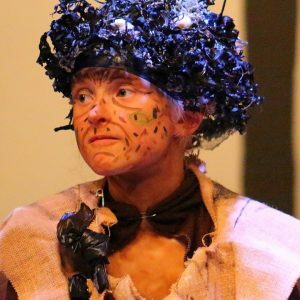 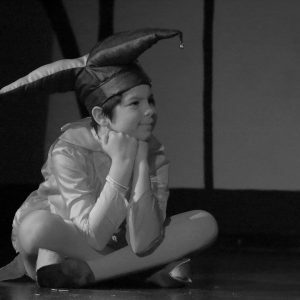 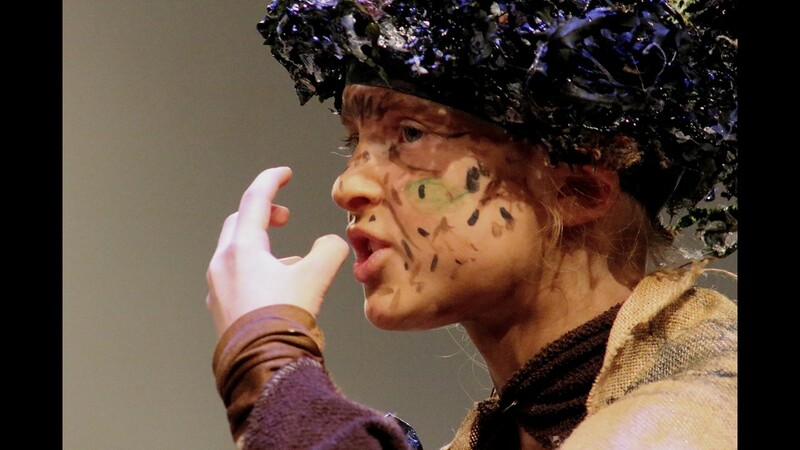 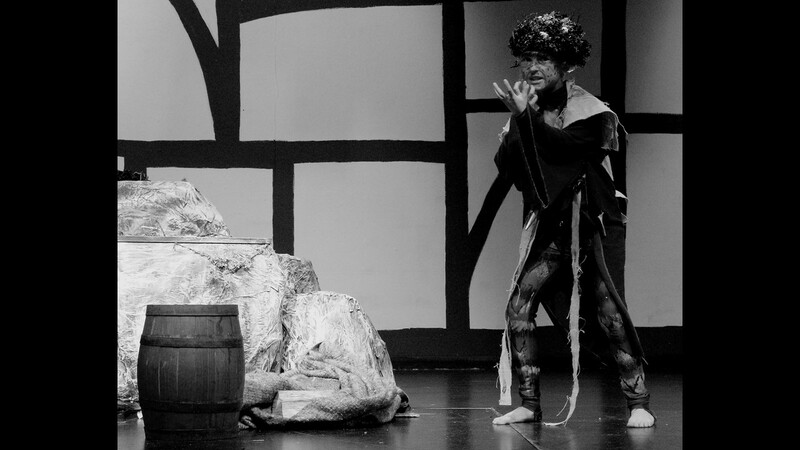 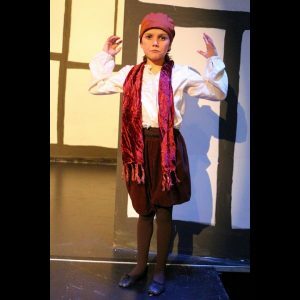 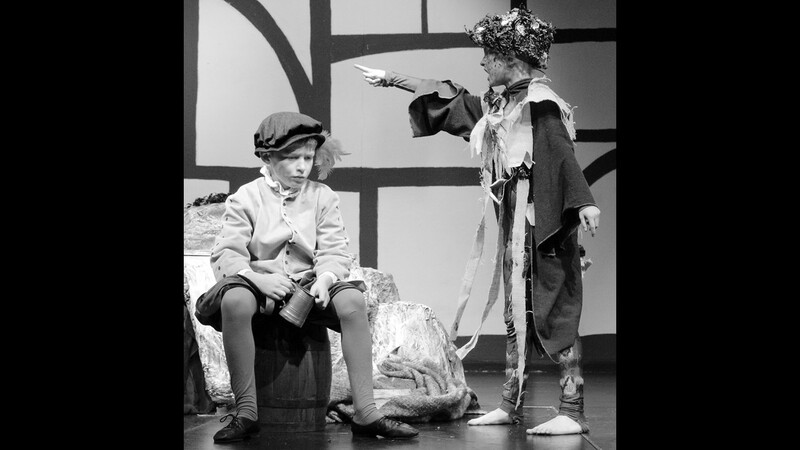 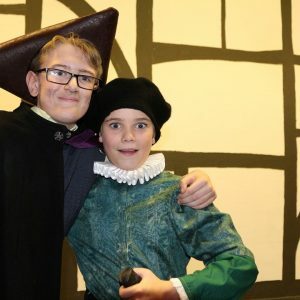 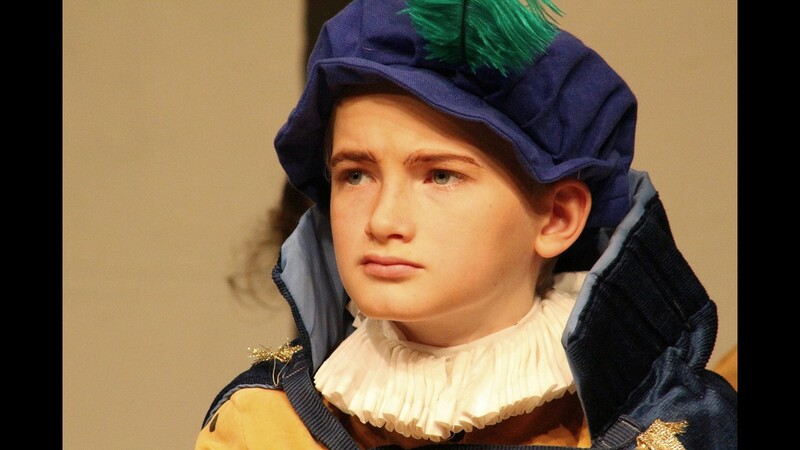 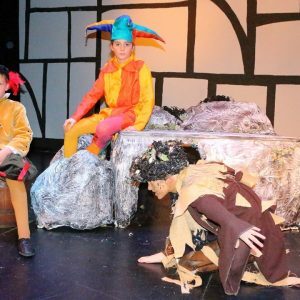 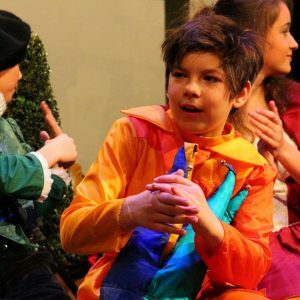 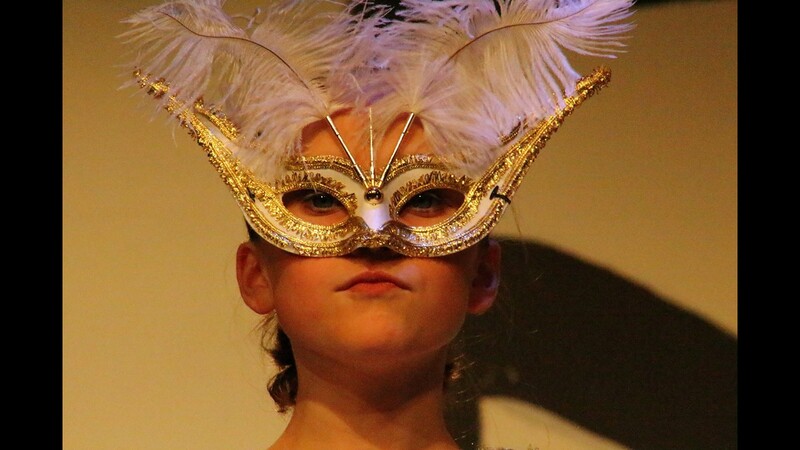 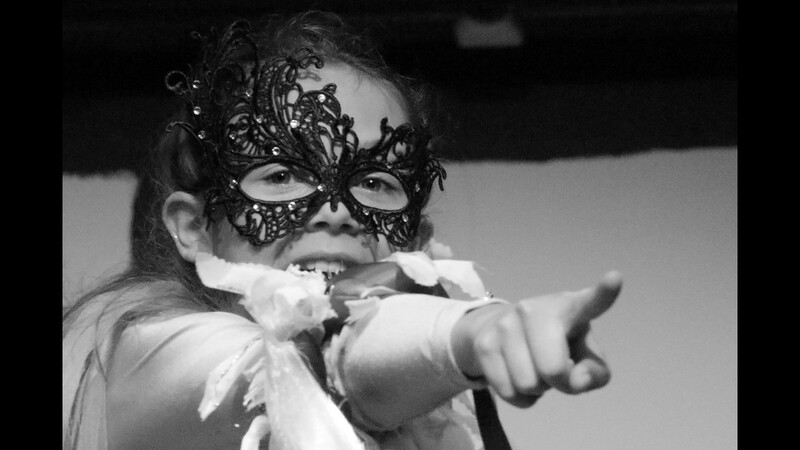 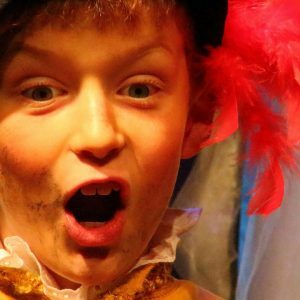 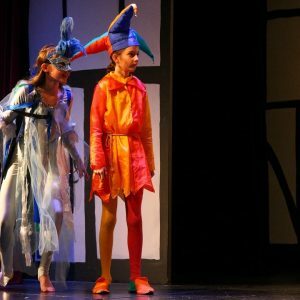 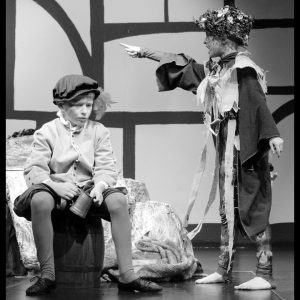 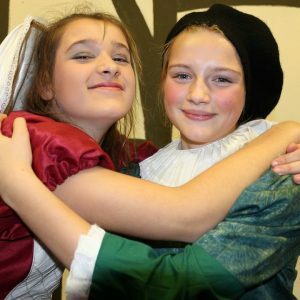 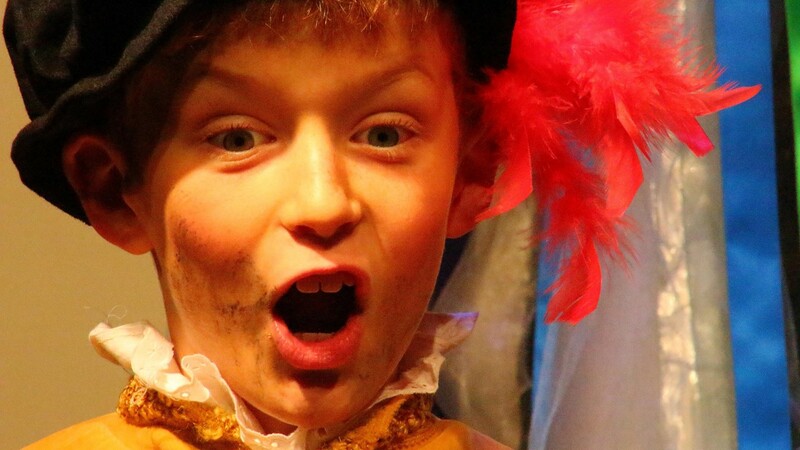 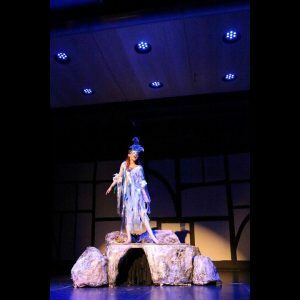 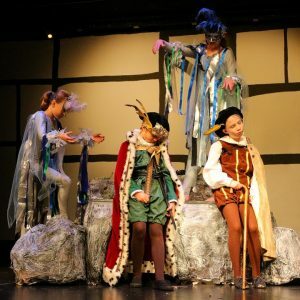 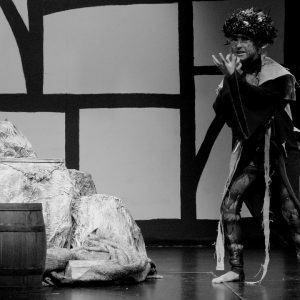 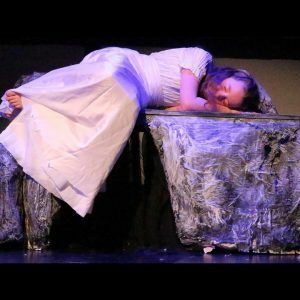 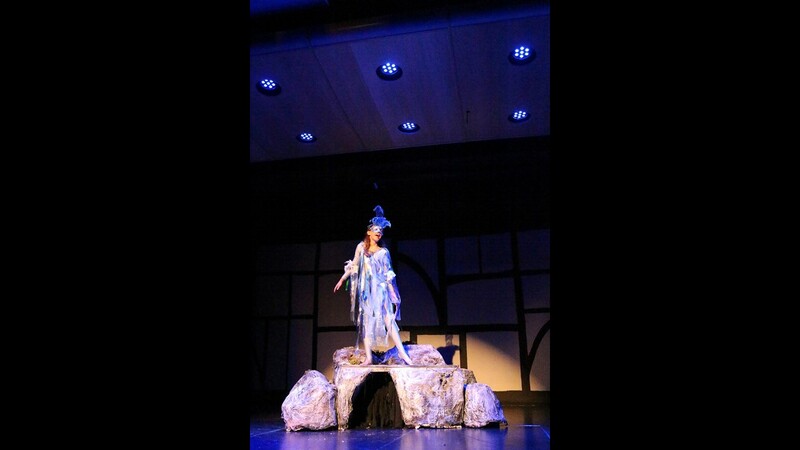 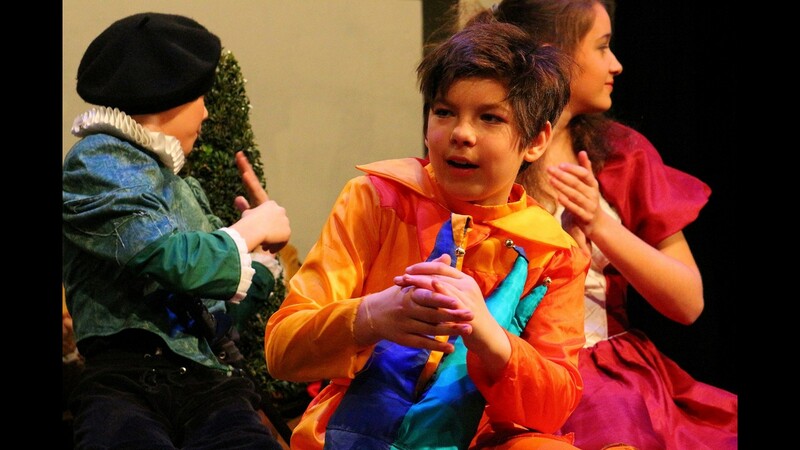 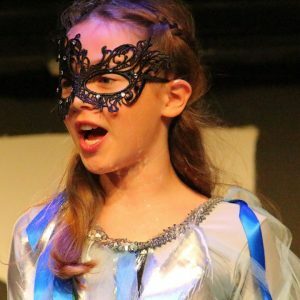 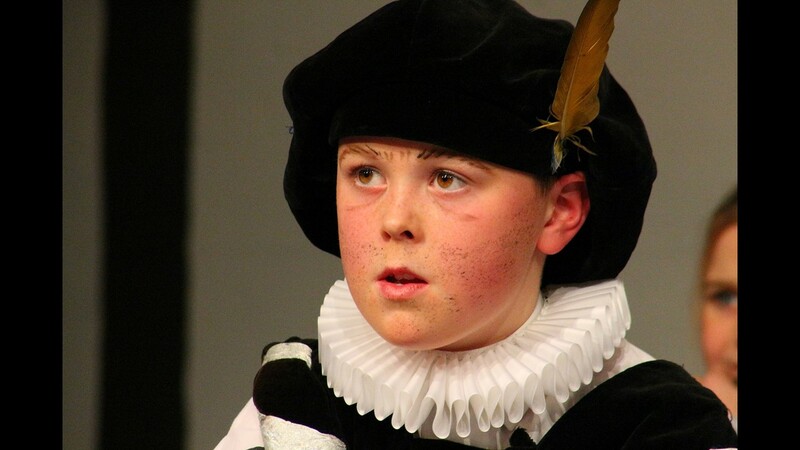 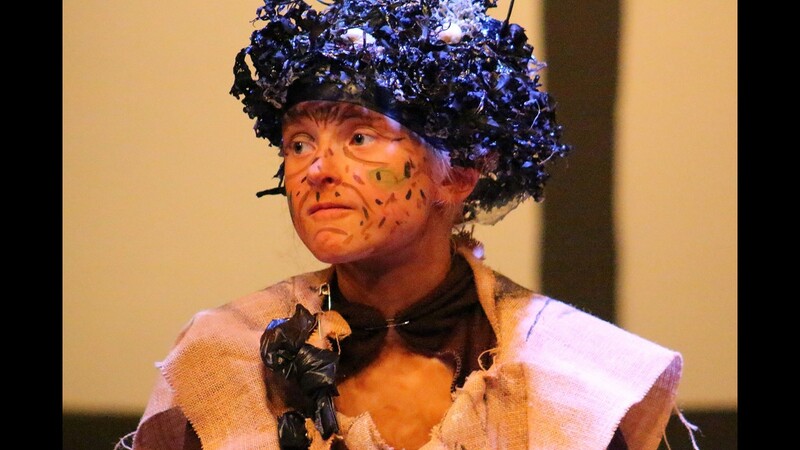 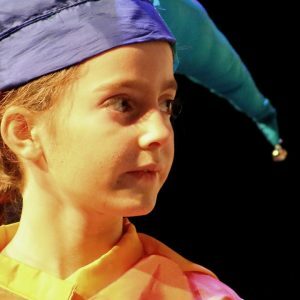 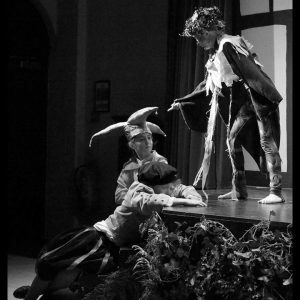 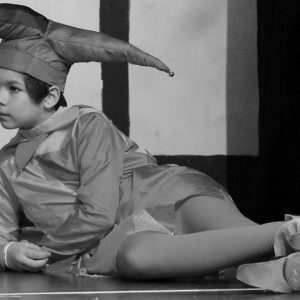 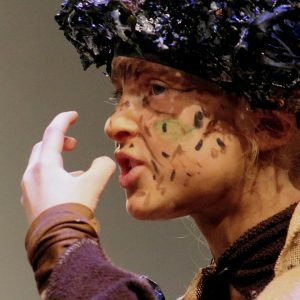 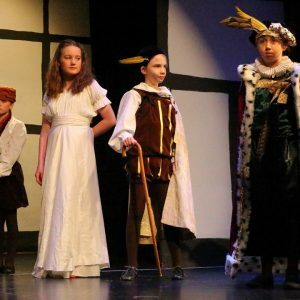 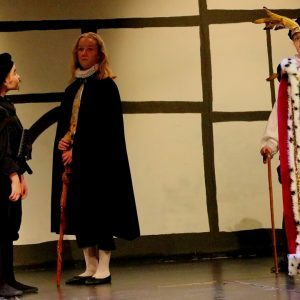 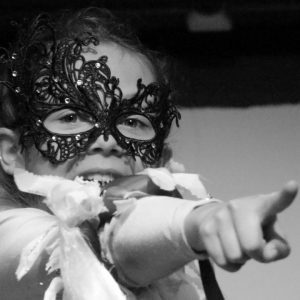 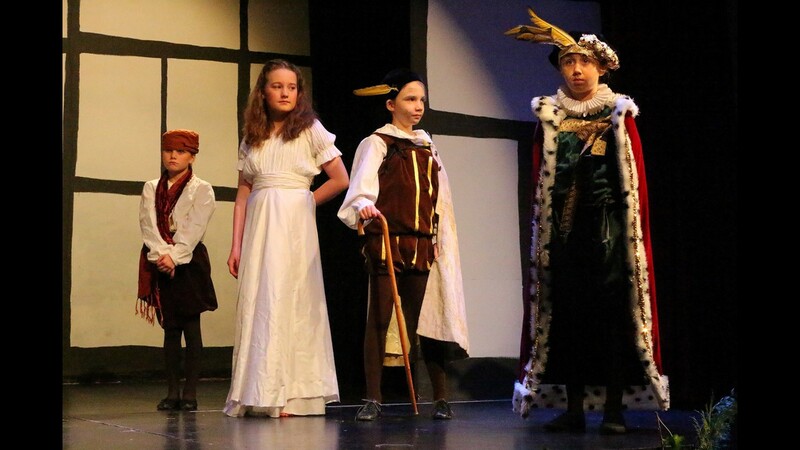 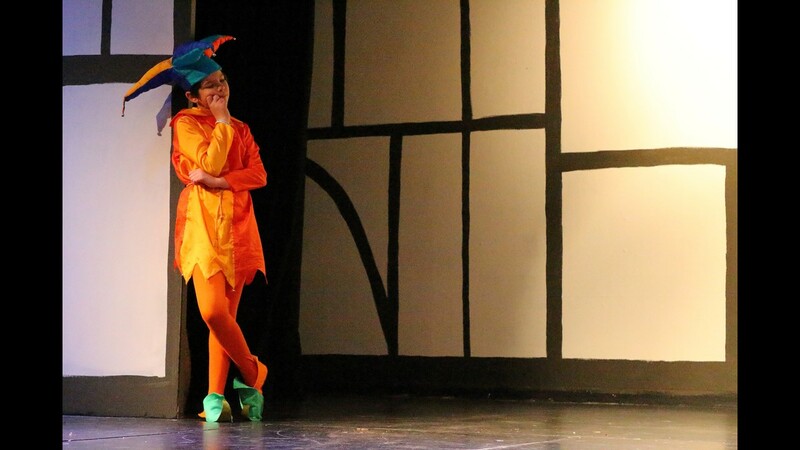 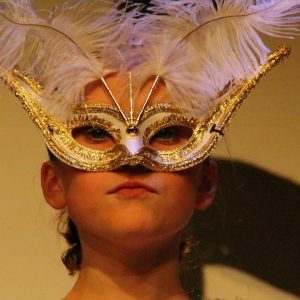 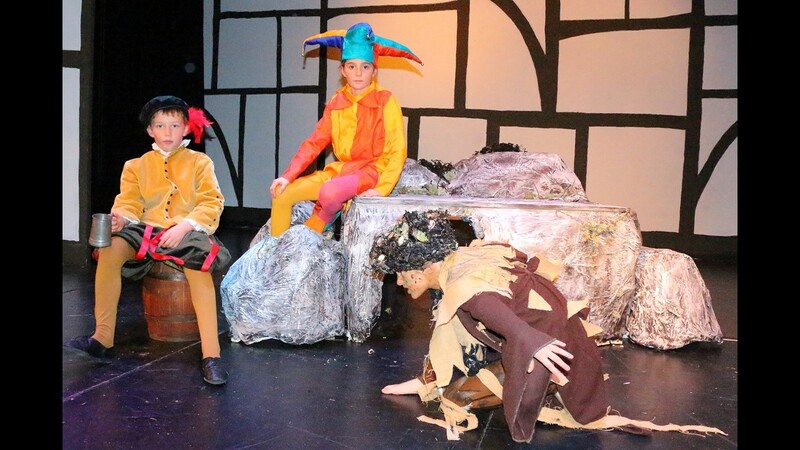 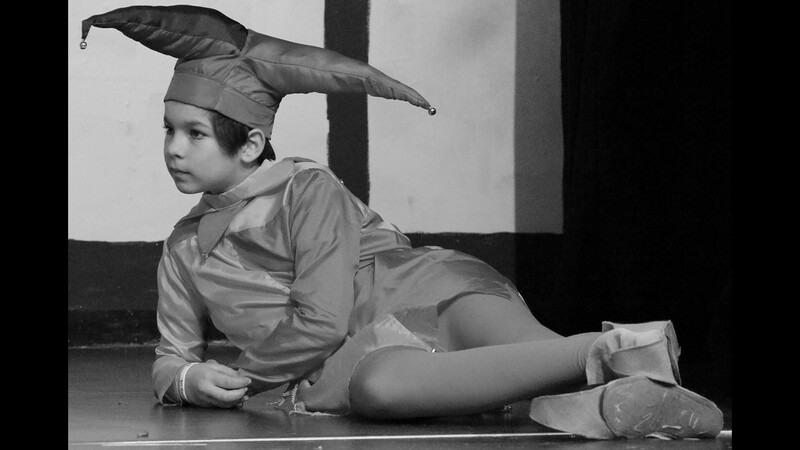 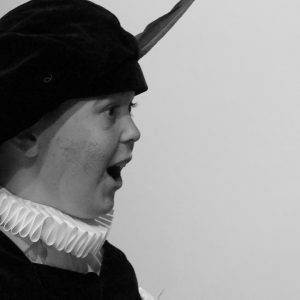 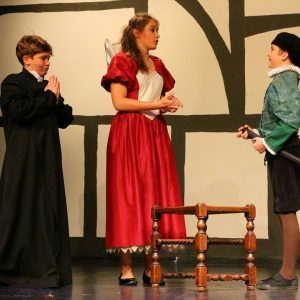 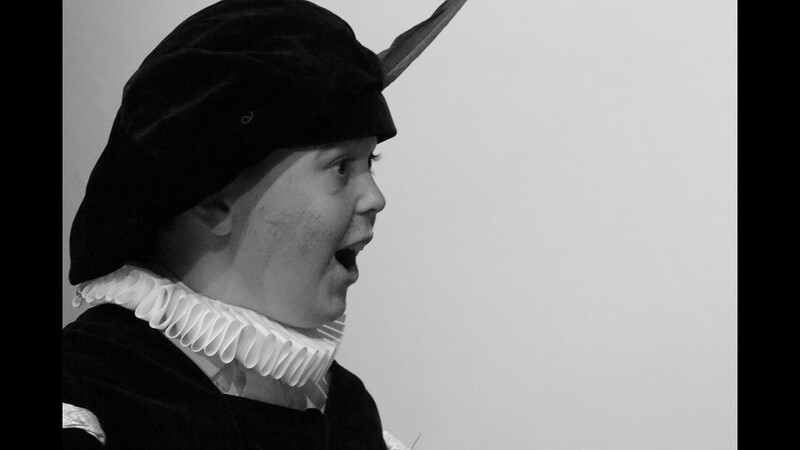 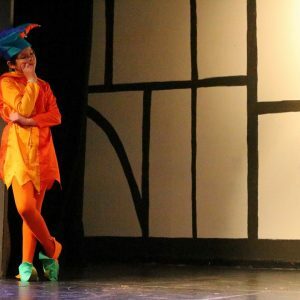 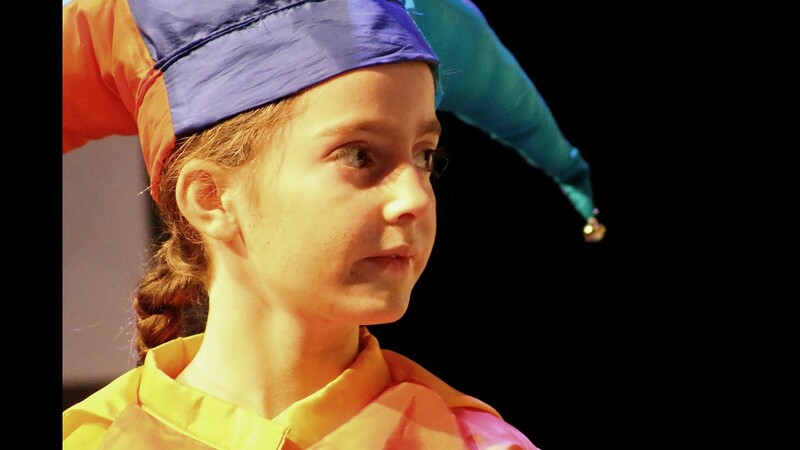 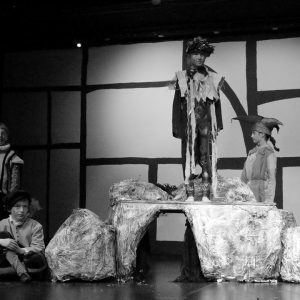 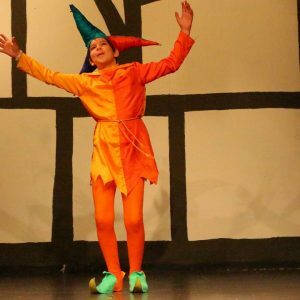 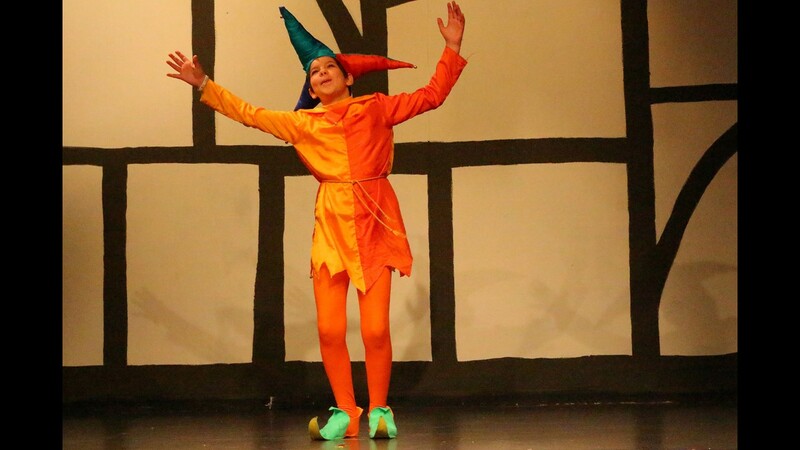 Years 5&6 performed an abridged version of ‘The Tempest’; it was wonderful to see how such young pupils developed during the term to produce a polished and highly enjoyable performance. 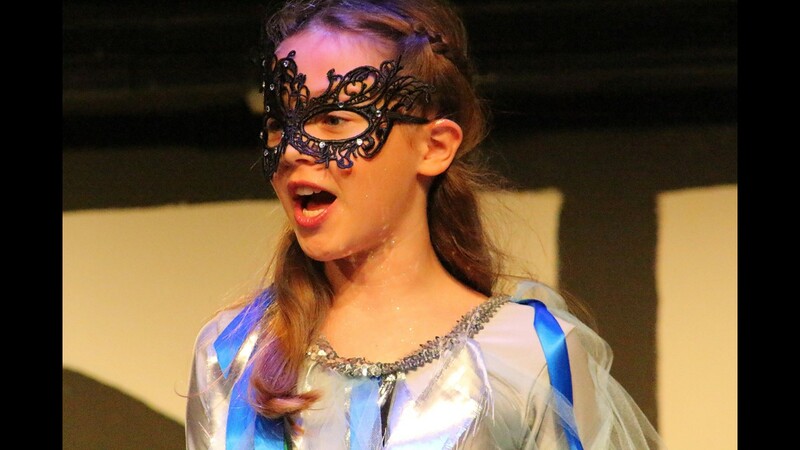 Clemmie D was superb as Prospero and Delilah G delighted with her ethereal performance as Ariel, floating about the stage with her little helper Molly P; wonderful comedy from Monty G (Stephano) and Sofia E (Trinculo) and a truly revolting Caliban played brilliantly by Ottoline G. Great support from a host of baddies in Clara F, Elizabeth G, Alex W and Camilla B and loves young dream in Arthur P and Matilda G.
During the interval the audience enjoyed a musical interlude of wandering minstrels and handbell ringers over delicious ‘cakes and ale’ in the wonderfully decorated Front Hall (well done Mrs Shellard). 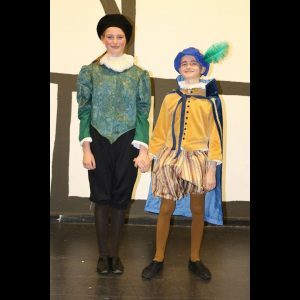 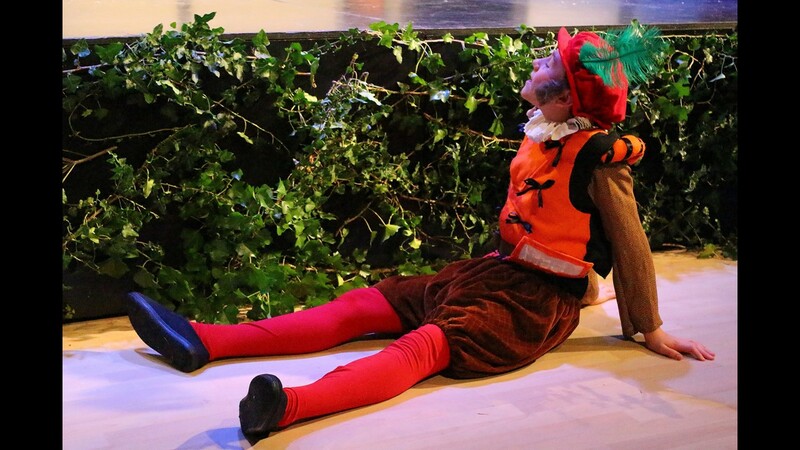 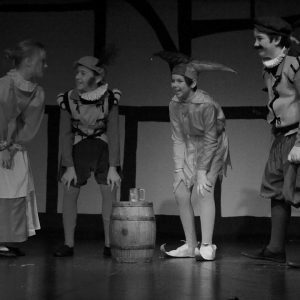 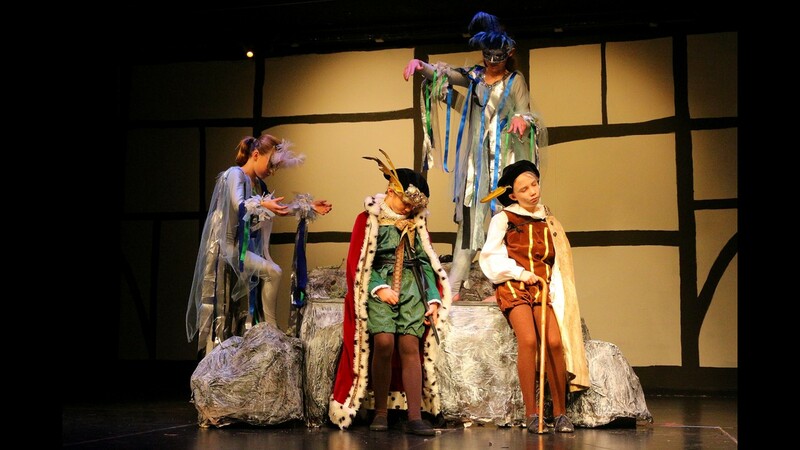 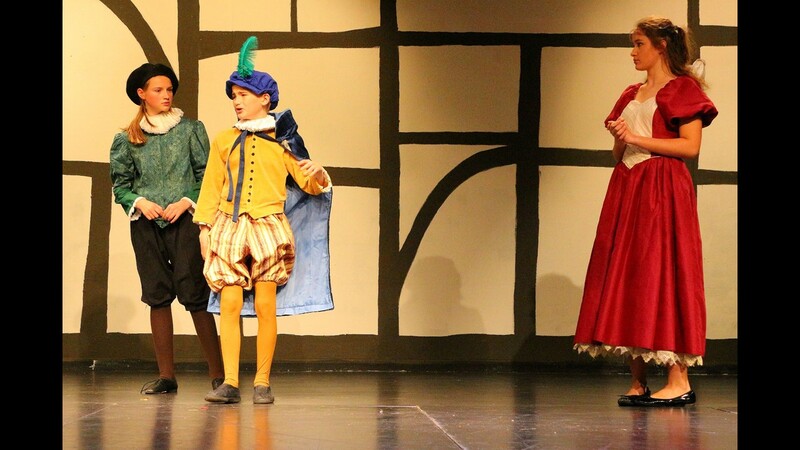 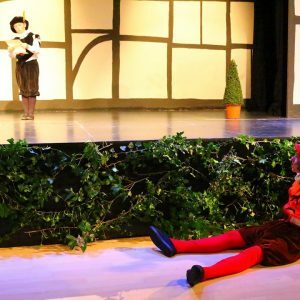 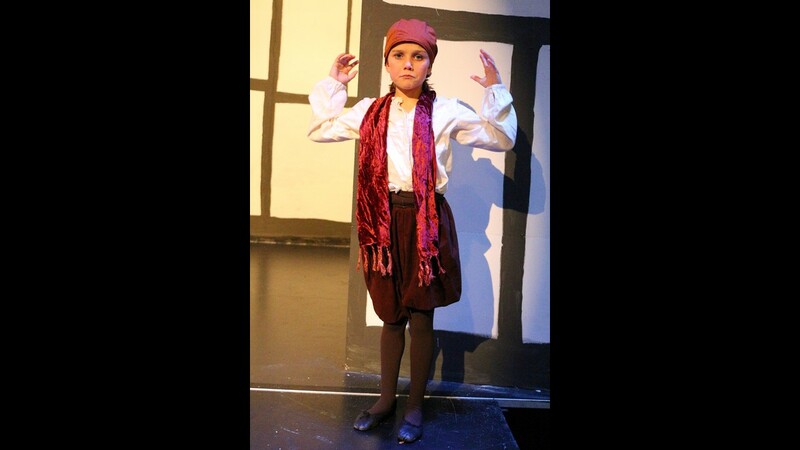 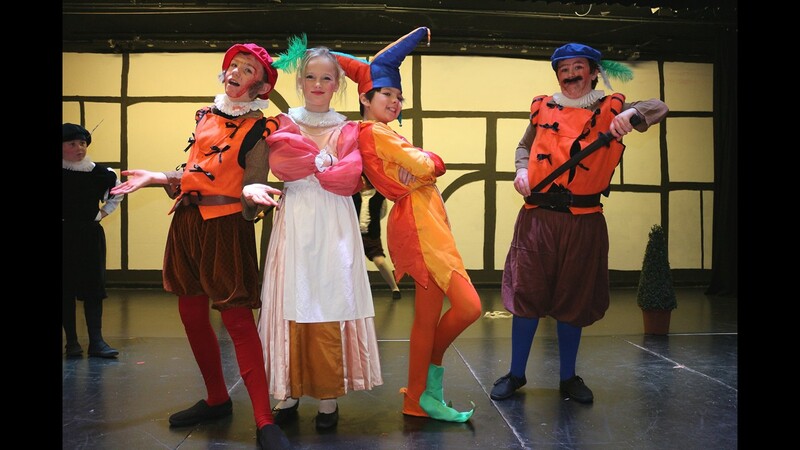 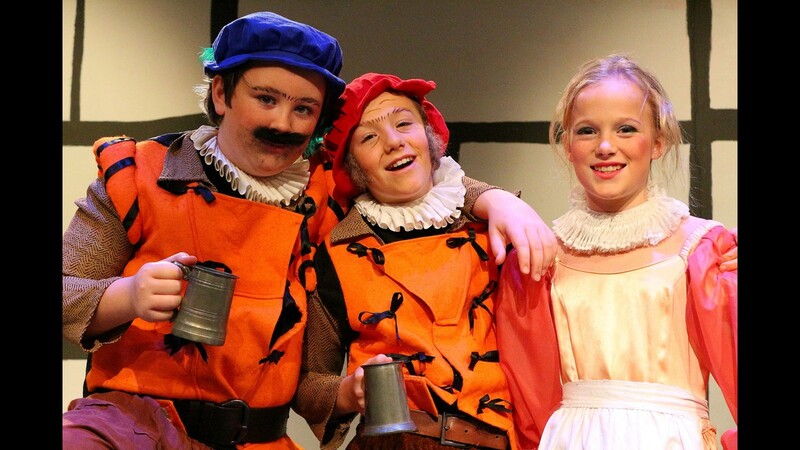 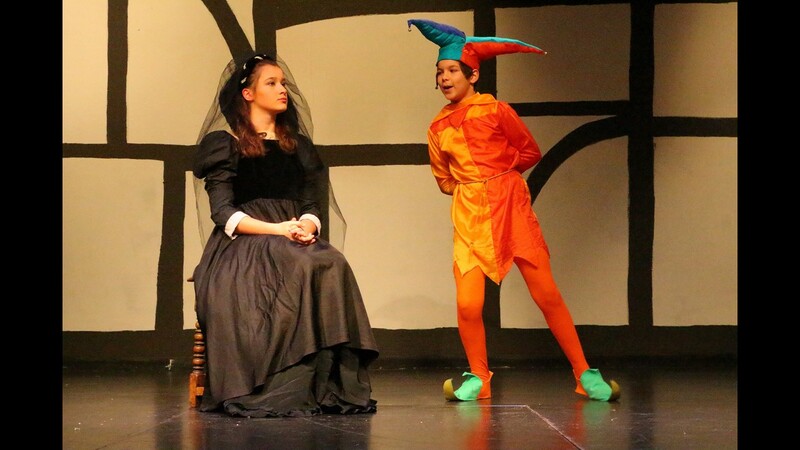 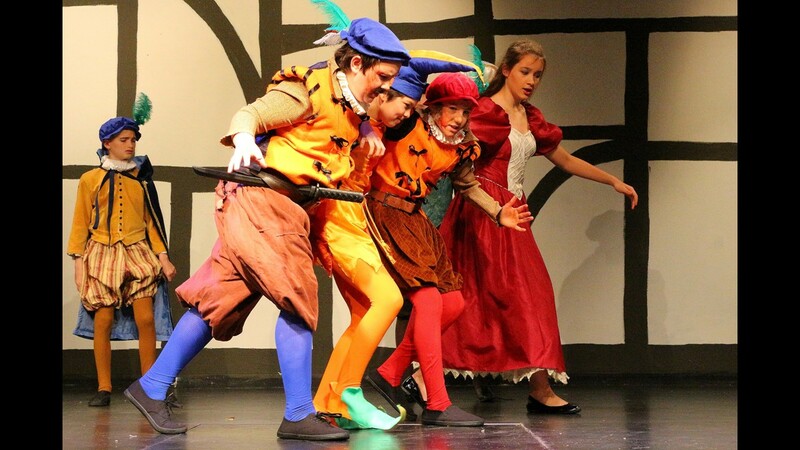 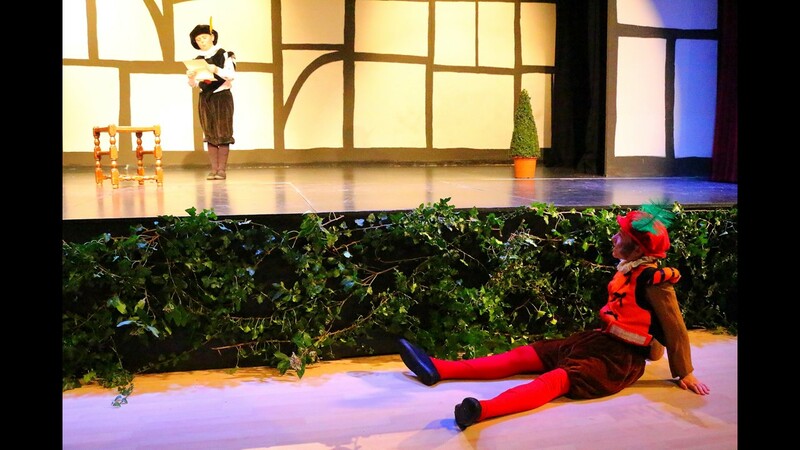 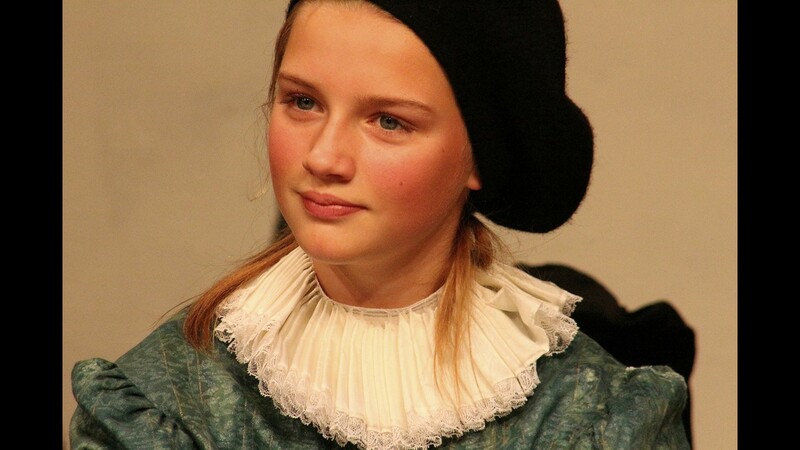 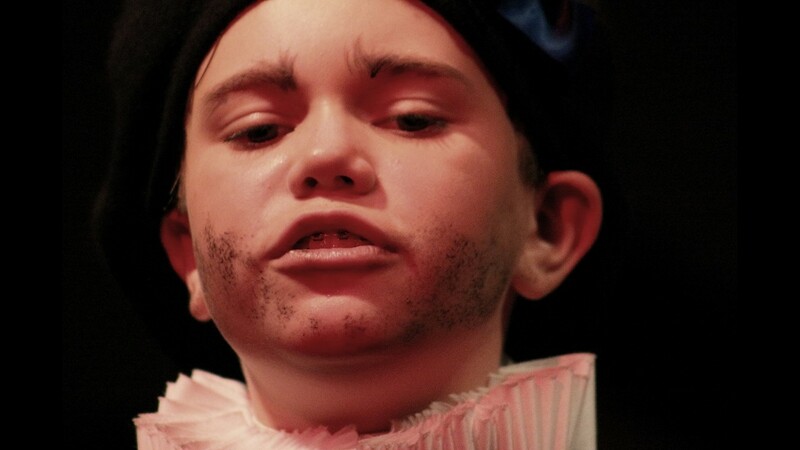 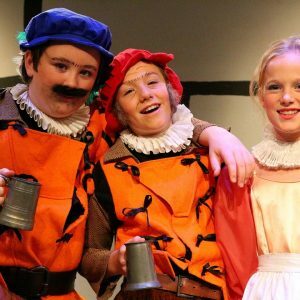 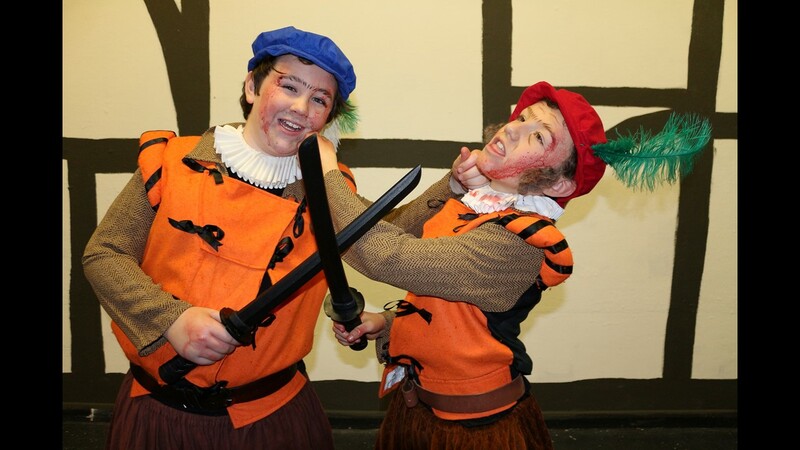 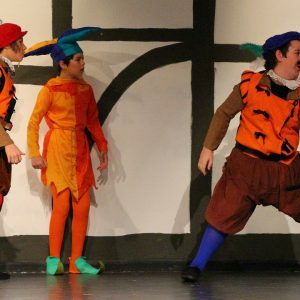 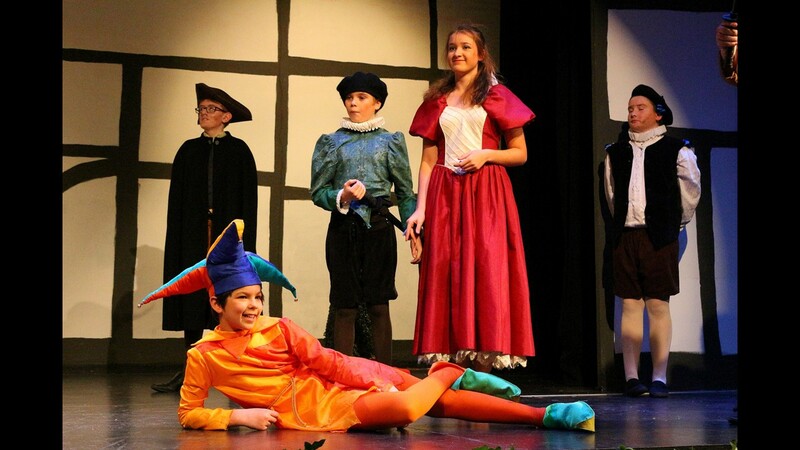 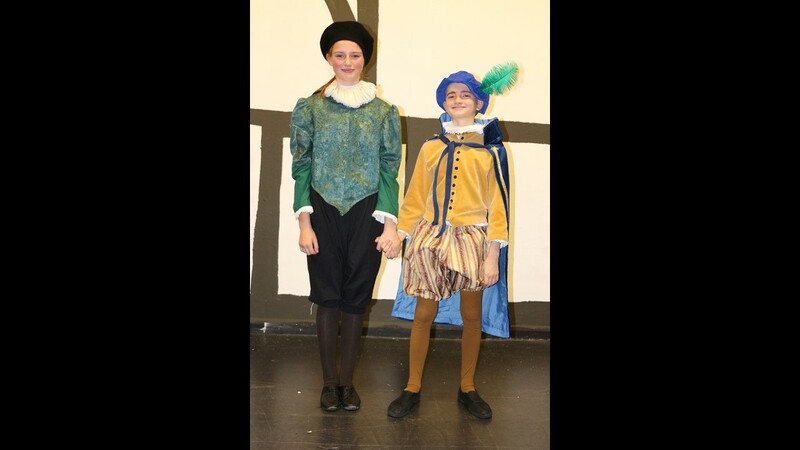 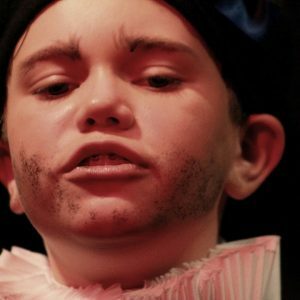 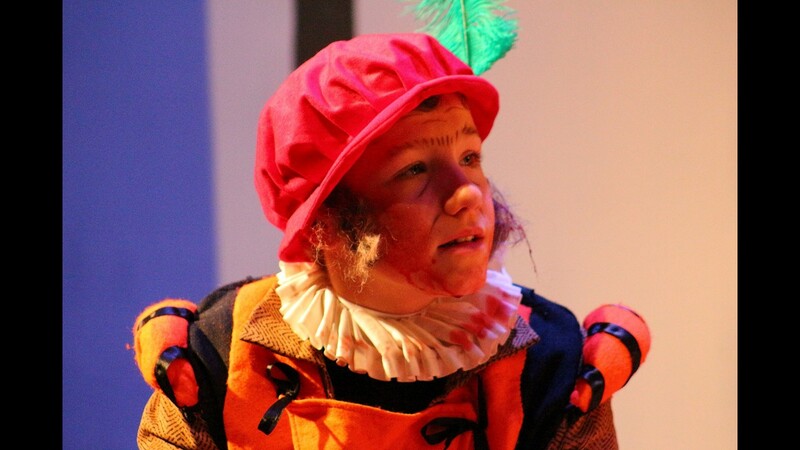 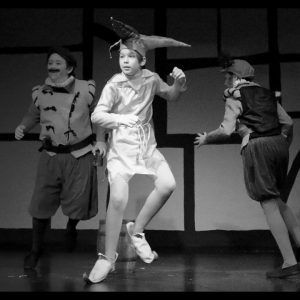 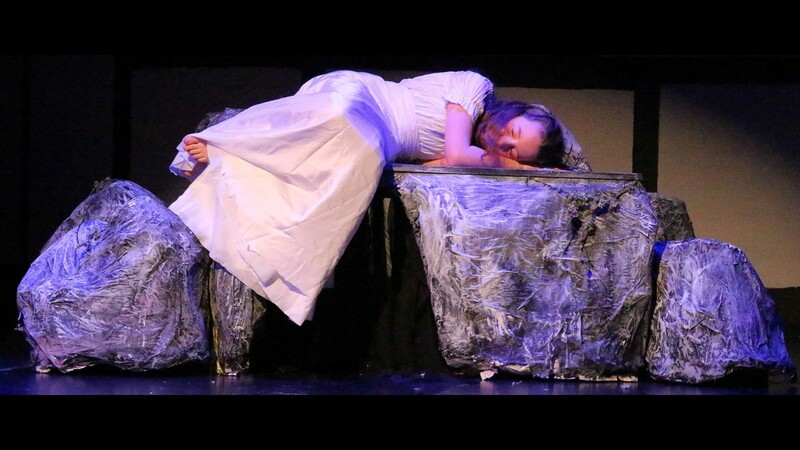 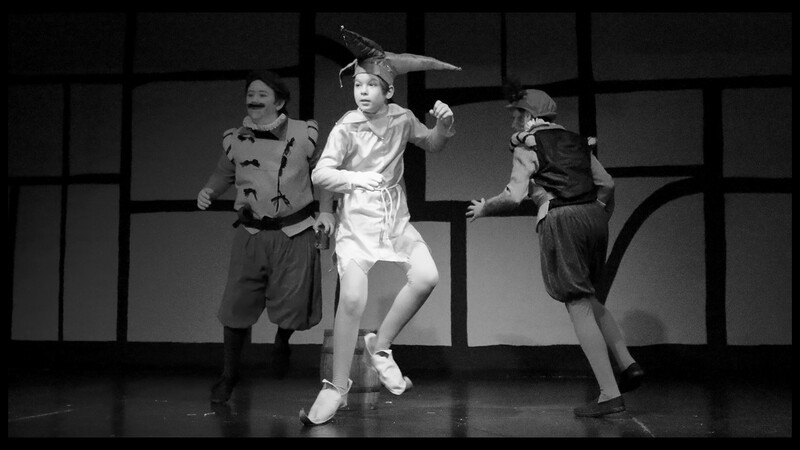 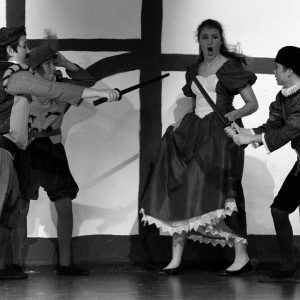 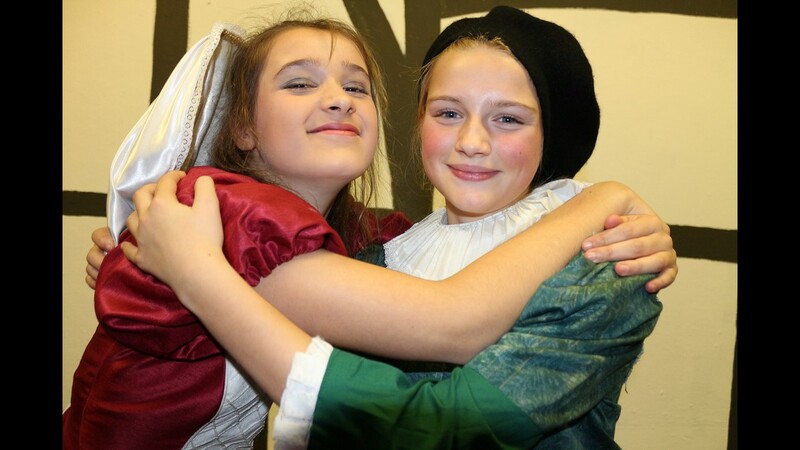 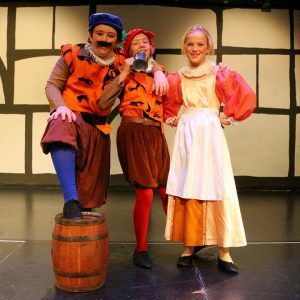 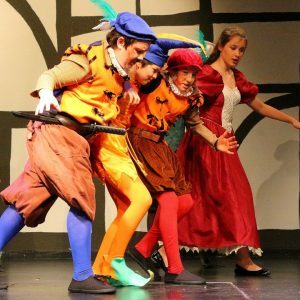 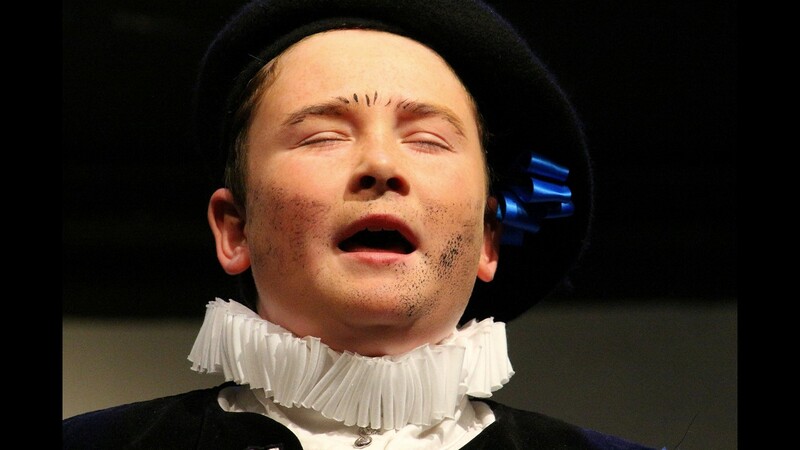 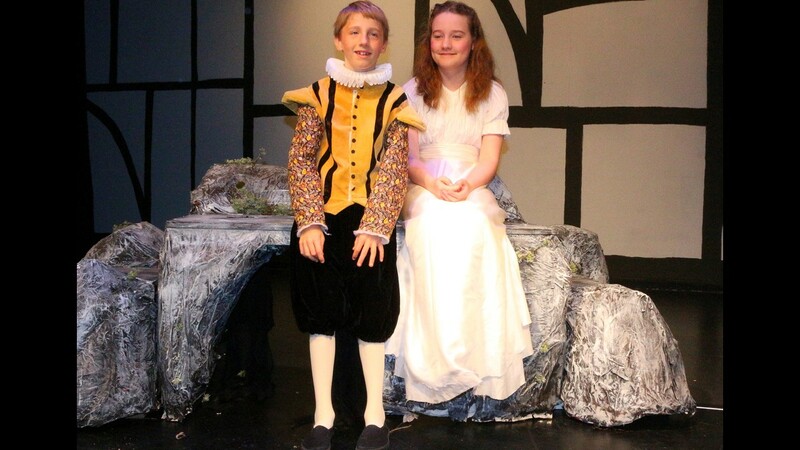 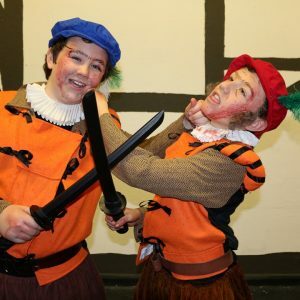 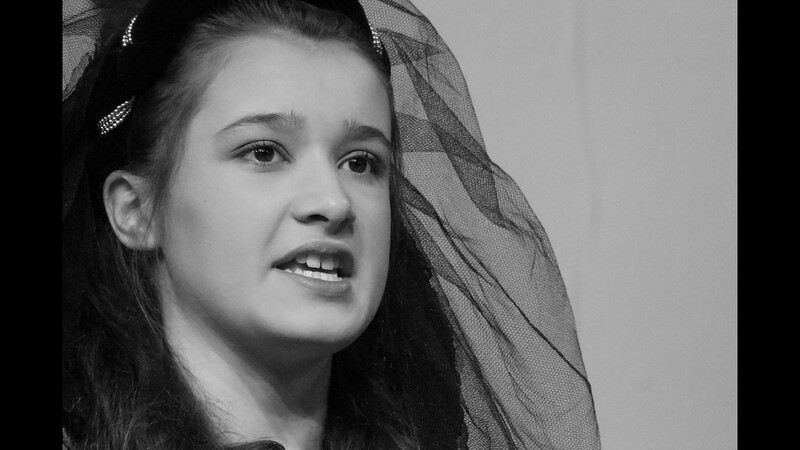 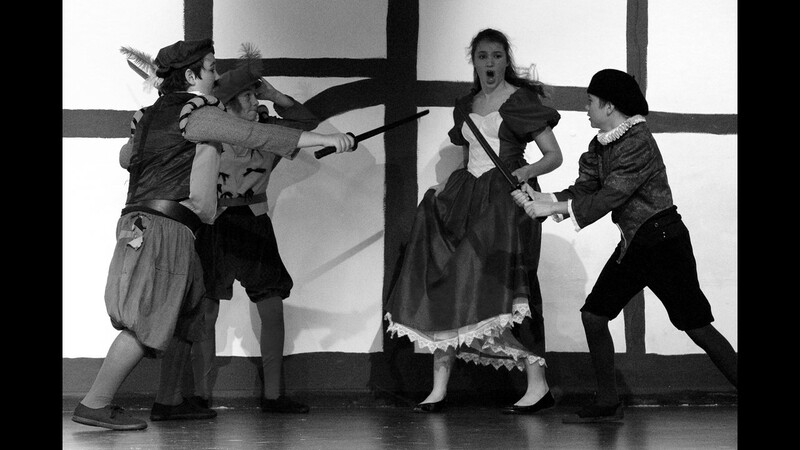 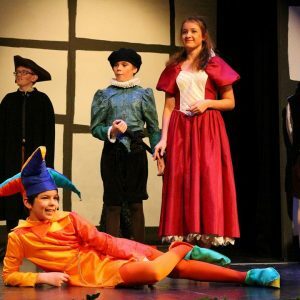 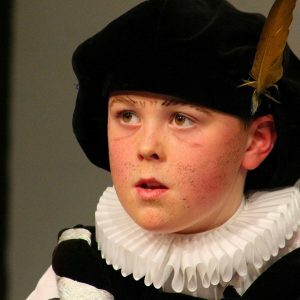 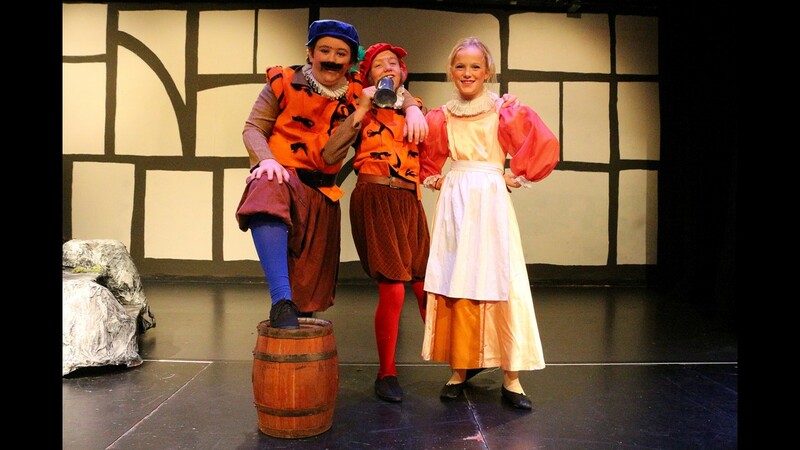 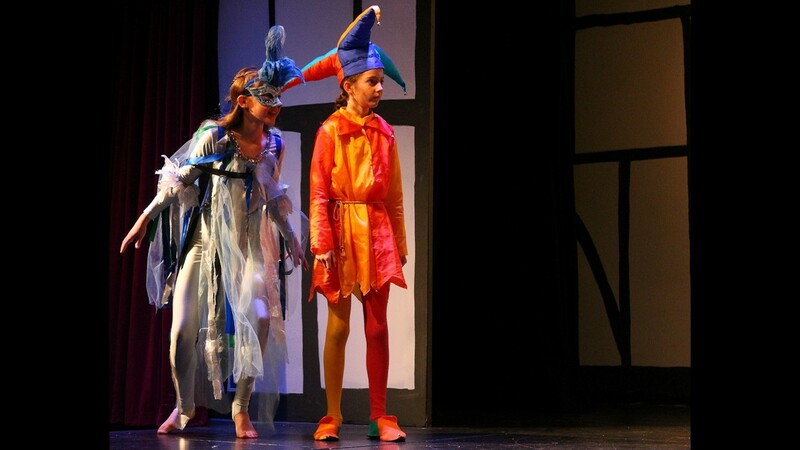 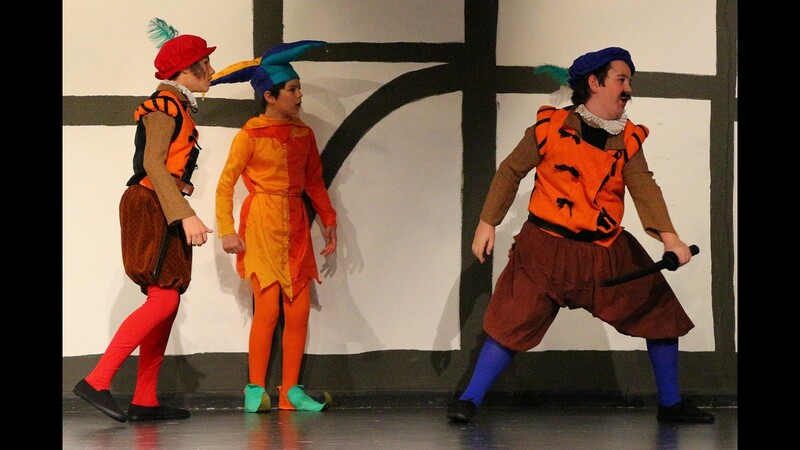 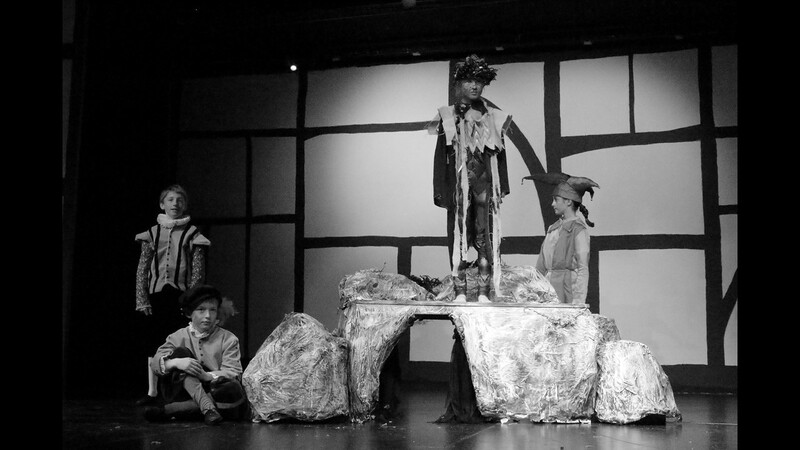 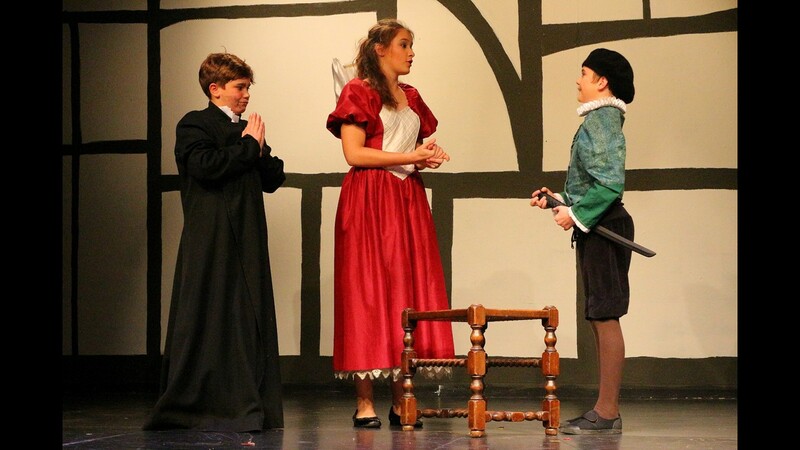 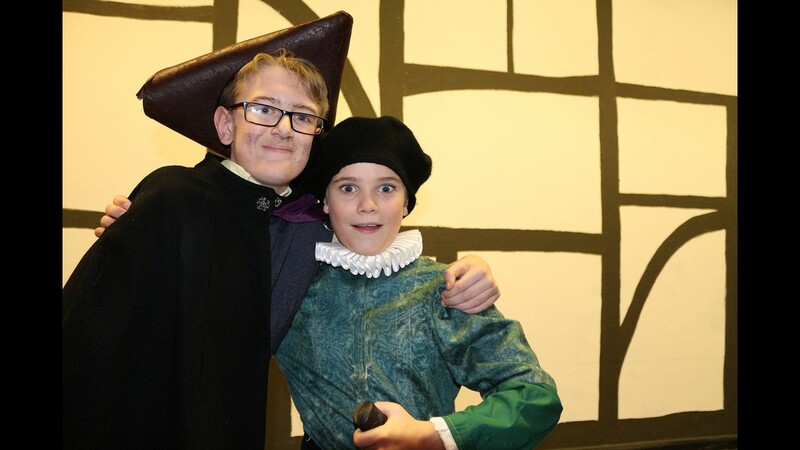 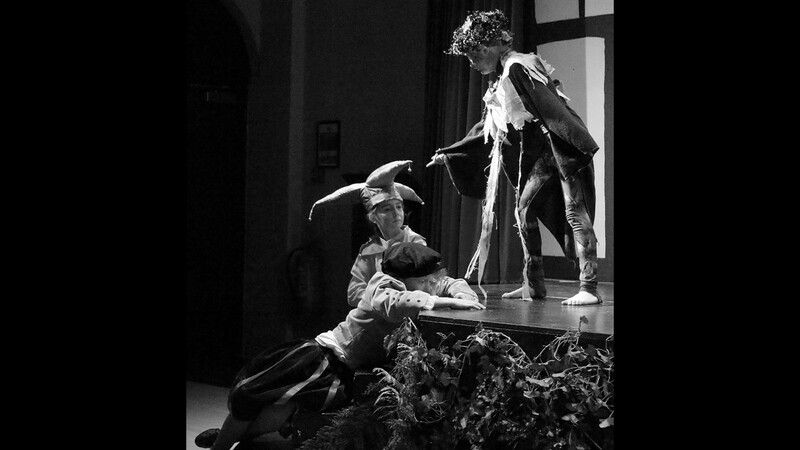 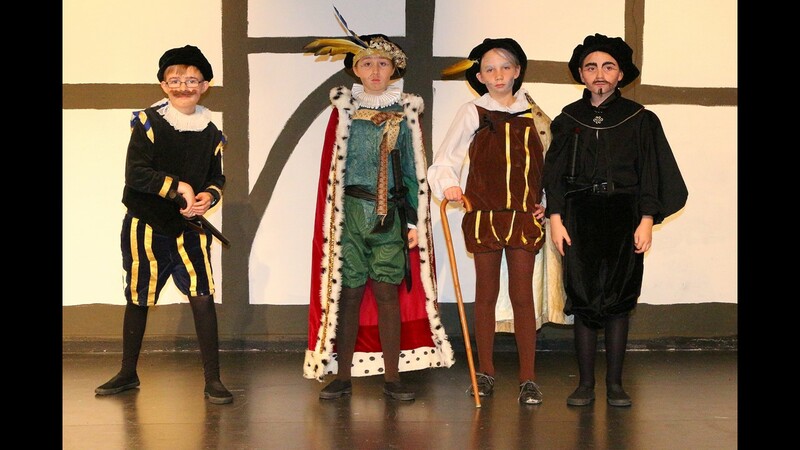 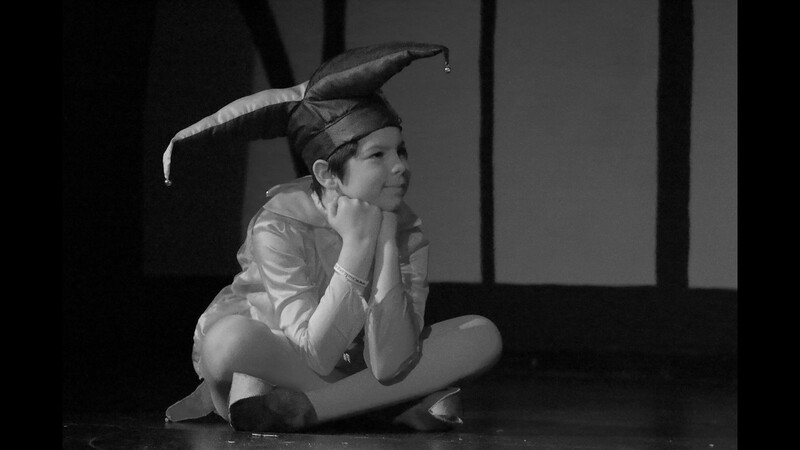 Year 7&8 then took on the challenge of ‘Twelfth Night’ with great success. 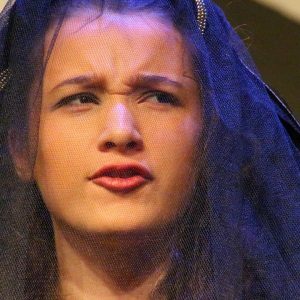 Mia G and Joe P were the ‘identical’ twins washed up on the shores of Illyria, only to fall in love with Francis C and Connie S in a tangled web of mistaken identity and confusion. 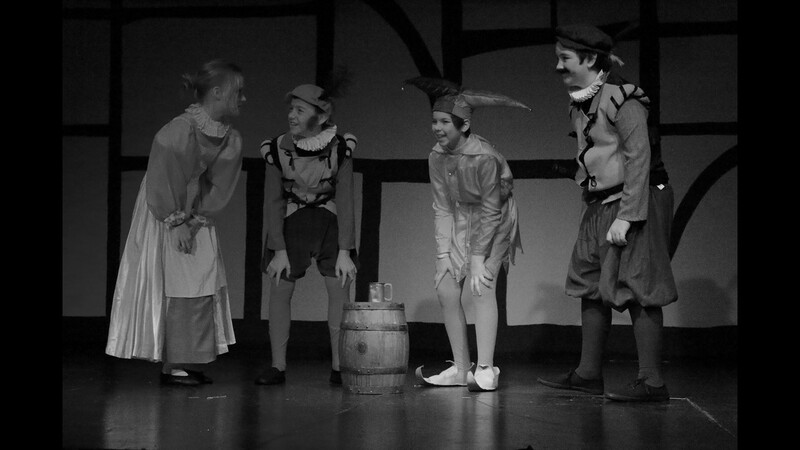 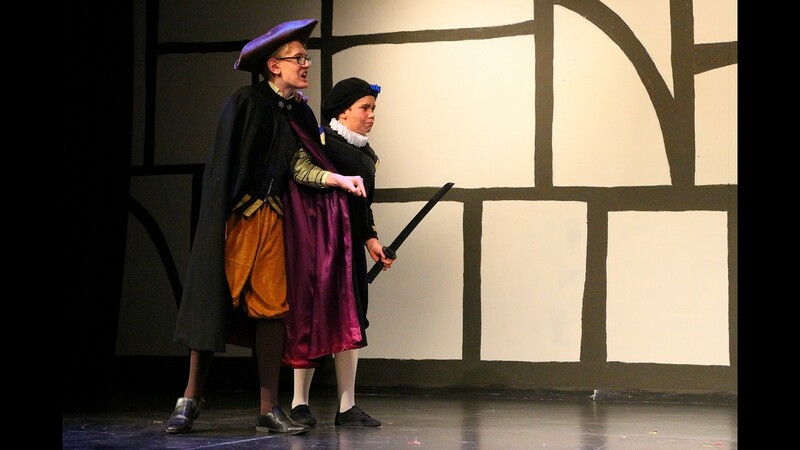 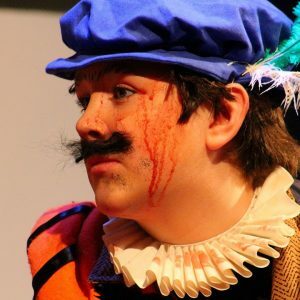 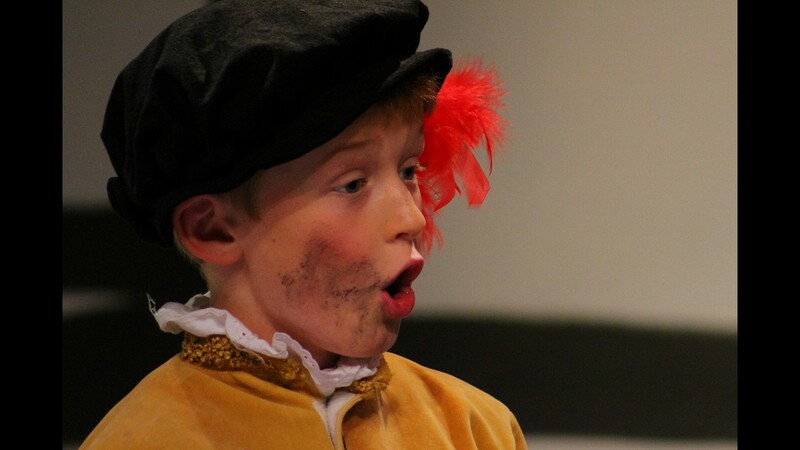 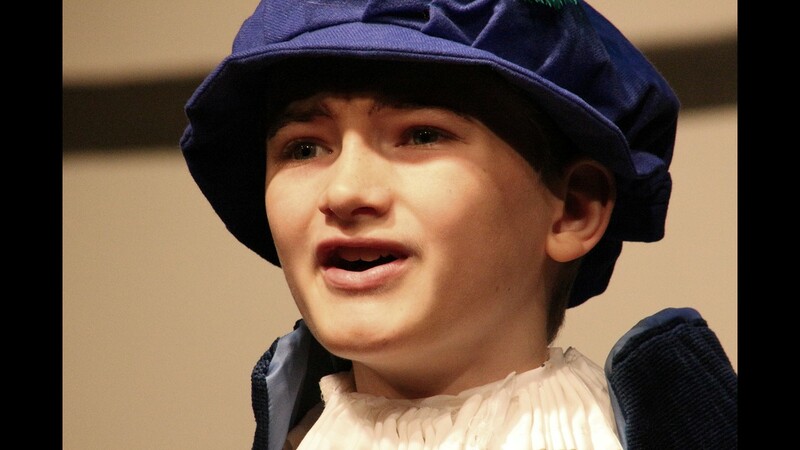 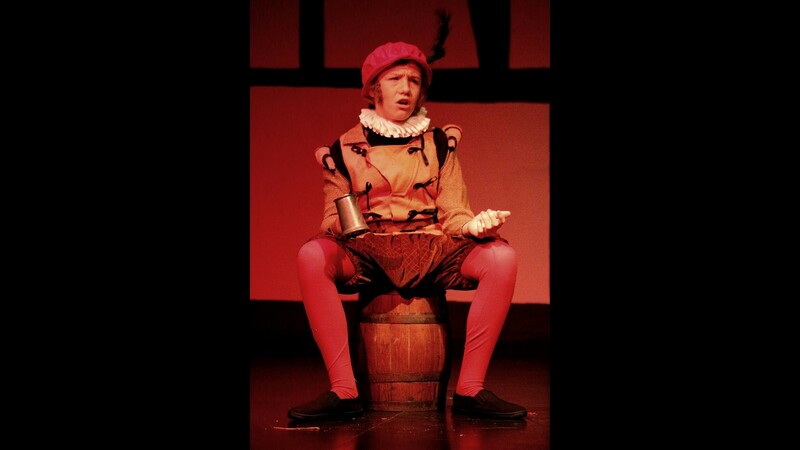 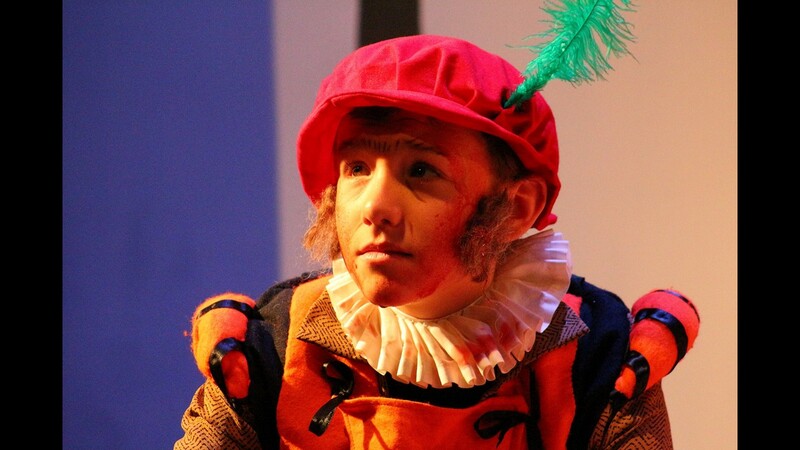 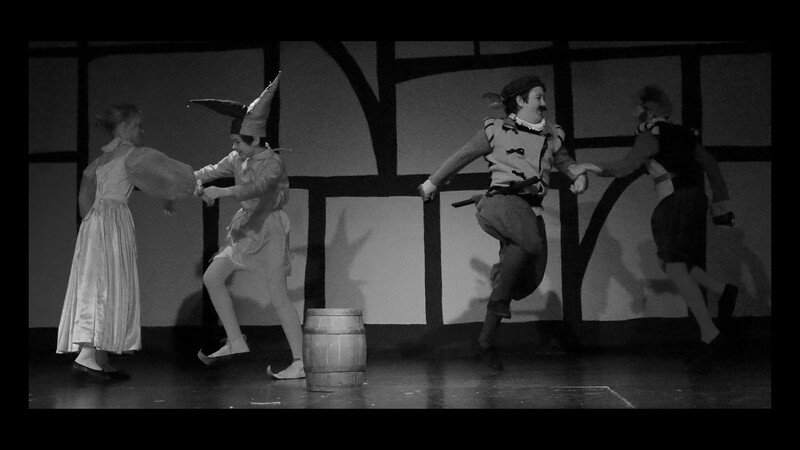 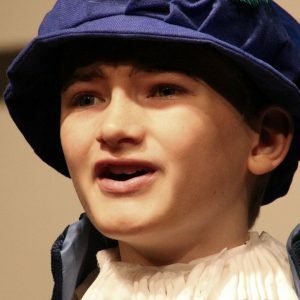 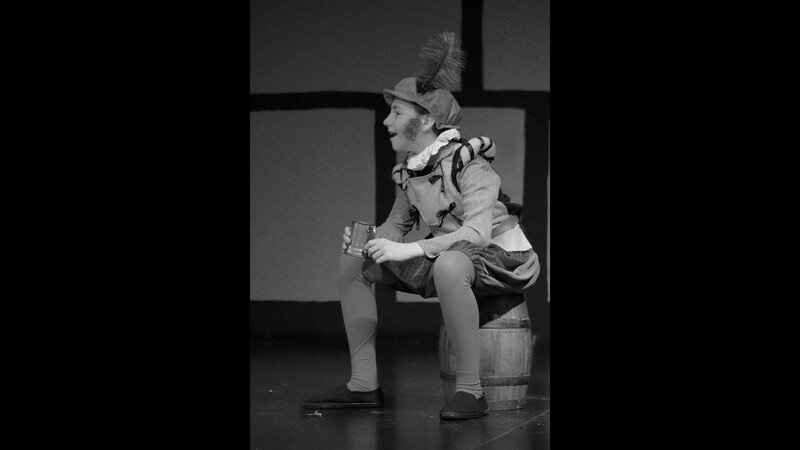 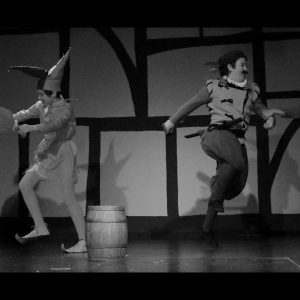 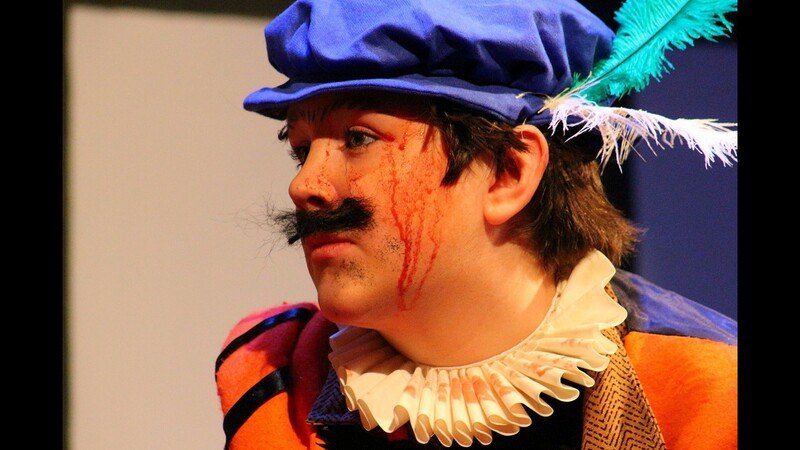 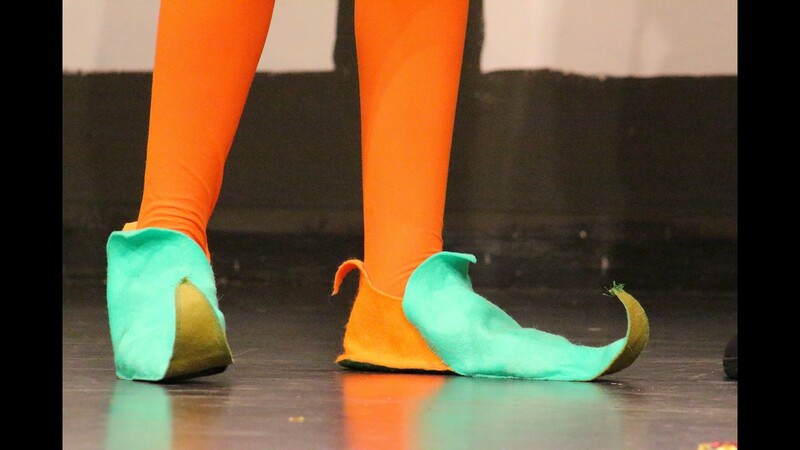 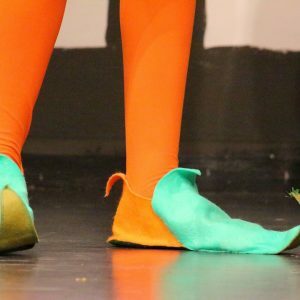 Noah P, Noah G, Mary KB and Margot F were hilarious and Billy M made a wonderfully morose Malvolio. 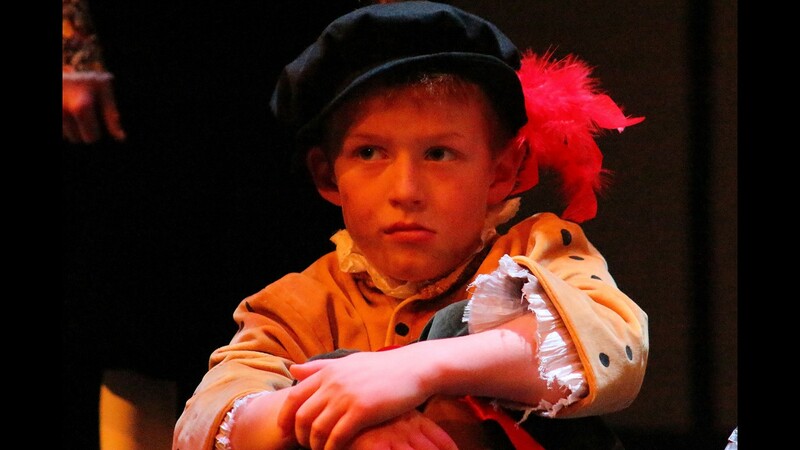 Sam H and Dexter B held the whole story together and Oliver S performed his two roles with great aplomb. 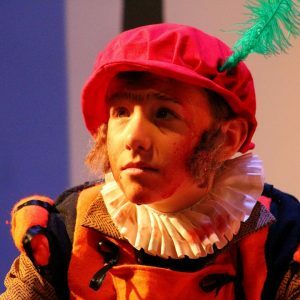 None of this would have been possible without the support of a host of helpers: the lovely Tom Moore on lights, Sue Glossop and the music department, Chef Ian, Janine Shellard on decoration and my fabulous team of parent helpers on costumes, make-up and props – Margaux Allfrey, Cristina Emslie, Gayle Fernau, Rita Galloway, Amy Godfrey and Harriet Parkin. 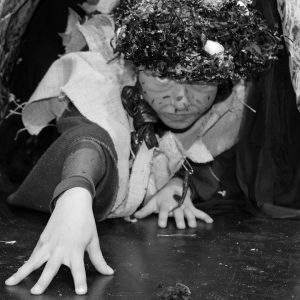 I hope the children enjoyed the project as much as I did and I was immensely proud of them all. 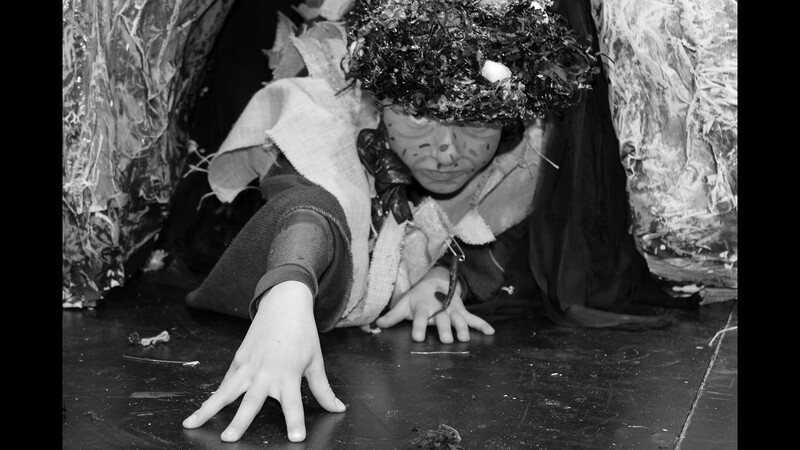 Right click on the images below to download.